3-5/8" bore cylinders for 1984–'99 big twin models with 96" engines. 5.565 inch cylinder length. Cylinders only. NOTE: Stock crankcases must be machined to accommodate the larger spigot diameter. 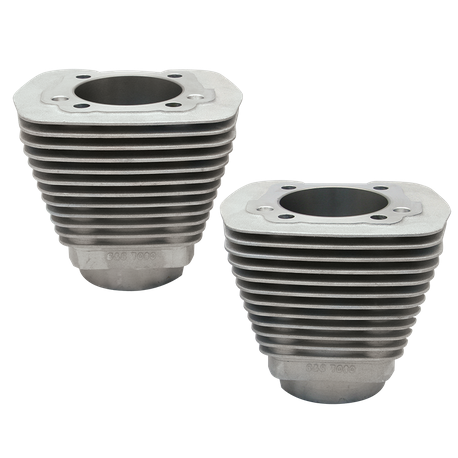 Stock crankcases must be machined to accommodate the large spigot diameter of 35/8" bore cylinders.